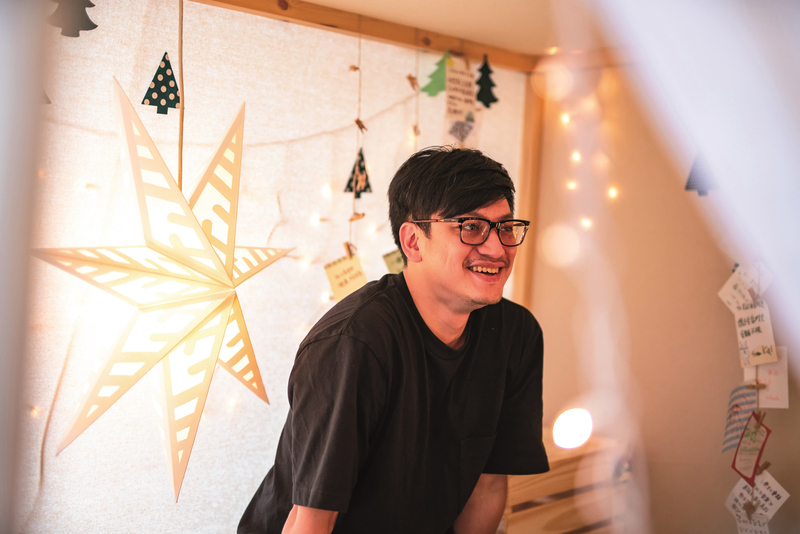 Chuang Chieh-lin (left) and Fancy Yeh (right) benefited from the multidisciplinary studies encouraged by National Taipei University of the Arts, and started a business together after they graduated. Even though he’s been in business for many years, Jay Tseng still gets excited about working with others on new projects. 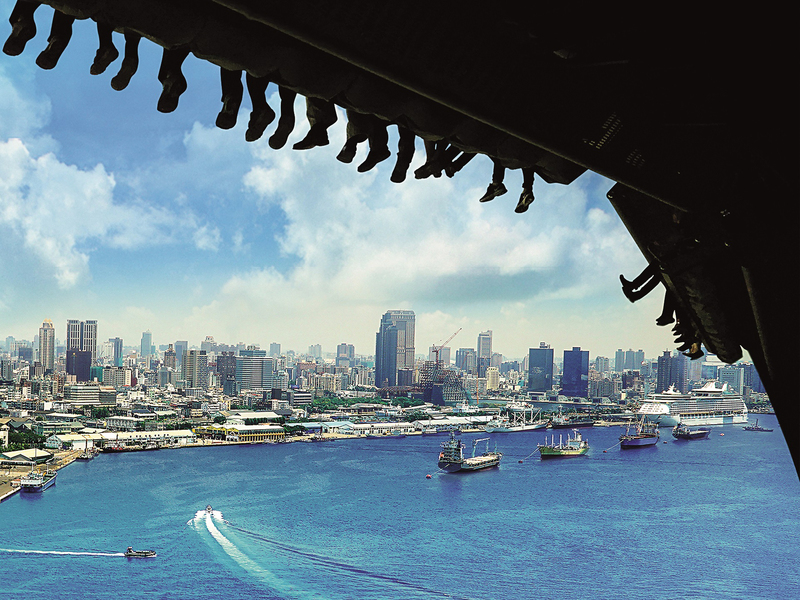 Some 90% of the i-Ride attraction was made in Taiwan. Brogent and CEO C.H. Ouyang are adding new luster to the Made in Taiwan label. It was just two years ago that Chen Chin-feng lit the Universiade cauldron using the flame carried from Mt. Jade and a swing of his bat. This magical moment moved viewers, even those watching on TV, with its lovely integ­ra­tion of the arts and sport. 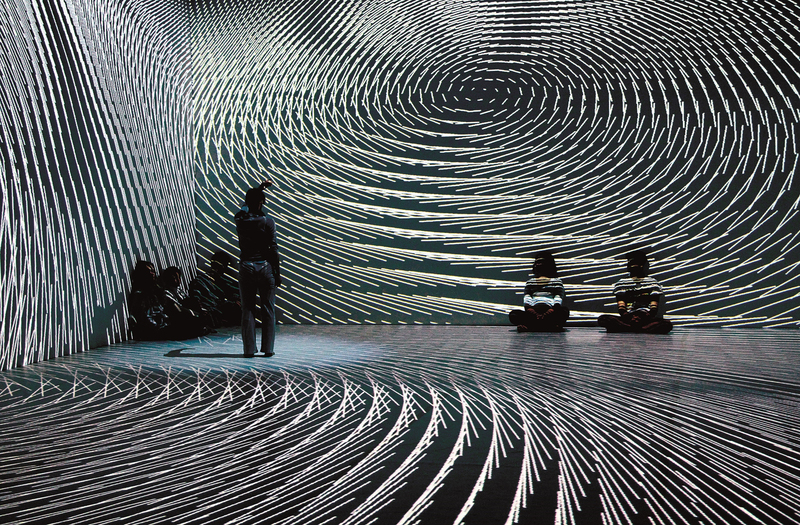 Luxury Logico, the group that created this giant spectacle, is a contemporary Taiwanese multimedia arts collective that has built its name on such multi­disciplinary work. The company is one of a number of new media art collect­ives that have popped up in recent years ­producing surprising, outside-the-box work. The trend has been brewing for more than 20 years, driven in large part by advances in technology. The ongoing maturation of big data, cloud computing, the Internet of Things, and arti­ficial intelligence have lowered the barriers to entry, transformed fields, and offered artists new possibilities. Even the staid world of museums has gotten in on the act. The public can now use apps to search for specific works on exhibition or in collections; receive notifications about exhibitions; find out what other destinations and restaurants are in a museum’s neighborhood; and pull together information on the collections of multiple ­museums. The technology offers users many benefits. For museums, the new technology is primarily a tool for academic research and museum management. Dr. Lin Yung-neng, a professor in the Department of Cultural and Creative Industries Management at National Tai­pei University of Education, mentions Apple’s iBeacon, a Bluetooth Low-Energy wireless technology that provides location information, as an example. The National Taiwan Science Education Center has already installed 474 such beacons, which provide visitors using the ­museum’s mobile app with digital education services, while also gathering de-identified data with which to analyze the route each visitor takes, the places where they tarry, and what they react to. This enables the museum to tailor routes to better meet the public’s needs, use visitor flows and feedback to hone exhibitions, and relieve crowding. 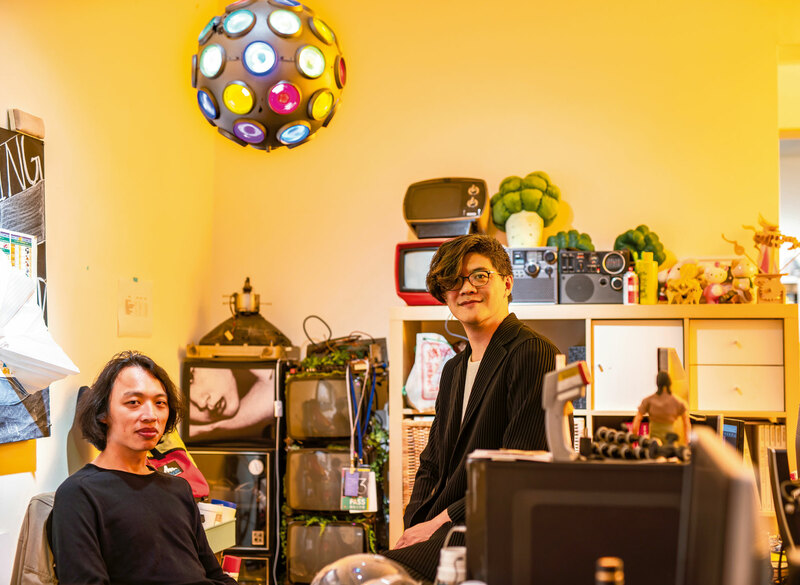 Artists who are sensitive to the possibilities of different media have been especially bold in their efforts, and Taiwan is now home to many young collectives like Luxury Logico that were founded in the last ten years. While each of these groups has developed its own techniques, specializations, and approaches, they share one key commonality: the multidisciplinary backgrounds of their core members. 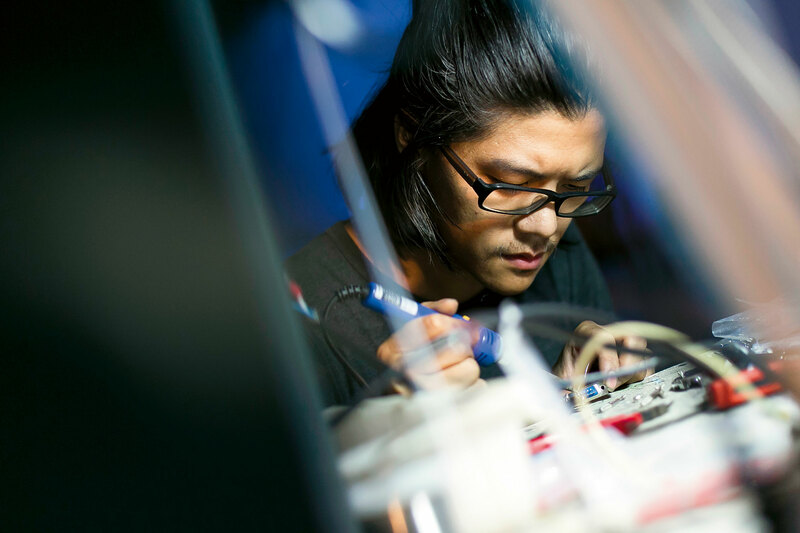 Though trained in ­techno­logical fields, their passion to create has driven them to pursue creative work in their post-collegiate lives. Three graduate students in the digital arts program (now the master’s program in new media) at the Tai­pei National University of the Arts formed WHYIXD and threw themselves into creating electronic artworks for residential public spaces and commercial landmarks. 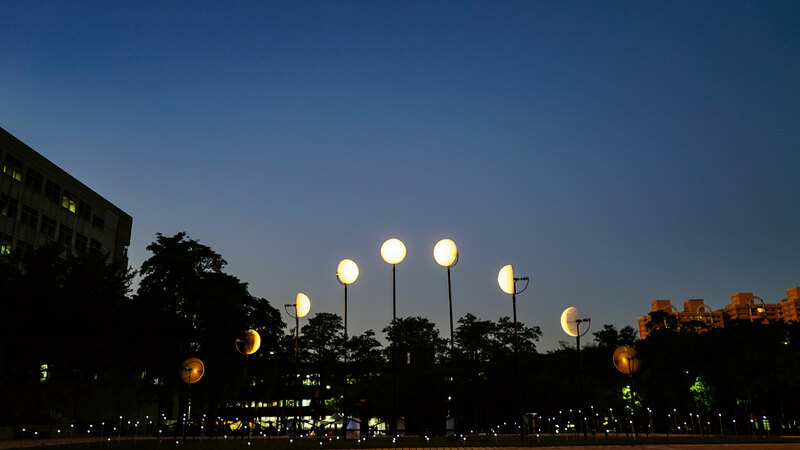 Unlike more traditional large, static sculptures, their designs draw on the cultural background of the venue, and use lighting and mechanical devices to create a sense of growth and dynamism. 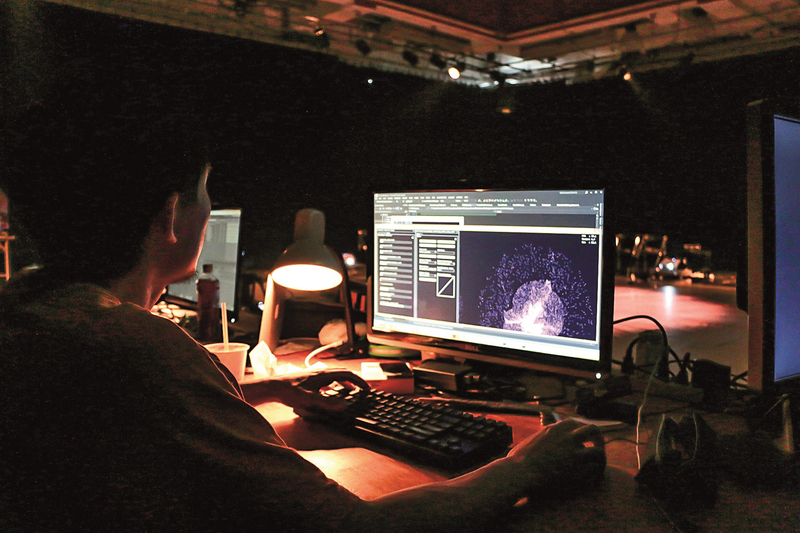 Taiwan’s renown as a “technology island” suggests that we have almost unlimited potential within the field of digital art. The Brogent Group’s i-Ride Experience Center, which opened this year at Breeze Nan­Shan, is just one example. Once the lights dim on the science-fictiony theater, visitors’ seats rise and slowly move towards a giant screen. Riders are then “launched” into the sky as a journey through the air unfolds. They not only see the terrain, but also experience the wind, humidity and even scents of their trip. The ride tightly integrates software and hardware. Its patented webbed seats possess six degrees of ­freedom and hold riders comfortably in position without swaying. Its safety belts, originally designed for high-end sports cars, can be fully tightened on the fly. Interestingly, its curved projection screen is made by a company that used to produce steel sculptures. And all of these components were made in Taiwan. The design of the daring ride required some clever multidisciplinary work. That the company was able to continuously advance its plans, fix problems and resolve issues, while also linking up and coordinating with “hidden champion” manufacturers all over Taiwan, comes down to CEO C.H. Ouyang. Ouyang is an engineer by training, and cofounded the company as a maker of cellphone software. But when the E-DA theme park decided ten years ago to build a Disney-­style flying theater, he ignored the prevailing skepti­cism about the project and spent heavily on the necessary R&D. That development work ultimately propelled the company to a leading position in the entertainment equipment manu­factur­ing space. Their products now rival Disney’s flying theaters, and can be found in theme parks around the world. In fact, the company holds a roughly 60% share in its market segment and is viewed as a serious competitor by many well-established European and American entertain­ment equipment brands. The company’s rise suggests that there’s no conflict between technology and culture. As we move into a new age of multi­disciplin­ary integra­­tion and cooperation, the distinctions between the liberal arts and the sciences are rapidly becoming obsolete. 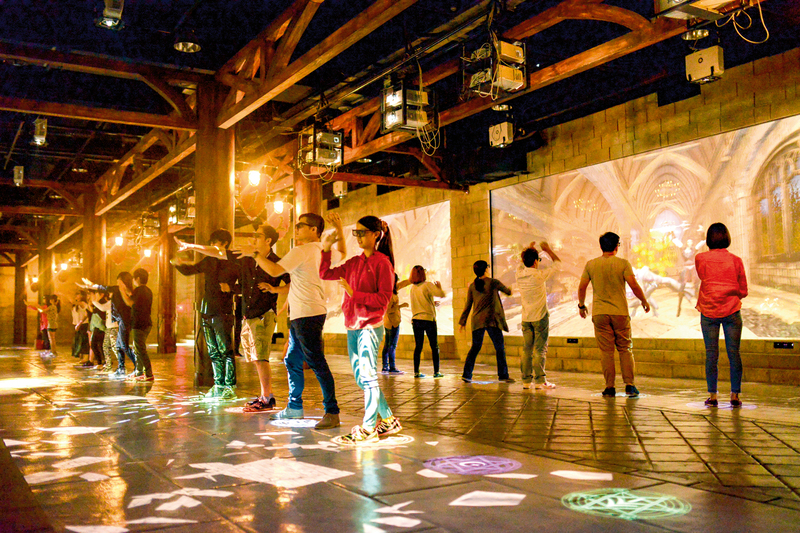 Old ways of thinking are loosening up, as demonstrated by Ou­yang’s mention of incorporating educational content into the ride to transform it into a more meaningful kind of entertainment. WHYIXD’s Fancy Yeh, meanwhile, says that because his company’s large electronic installations are used as corporate landmarks and attract large numbers of people, they aren’t budgeted as artworks but as market­ing expenses. 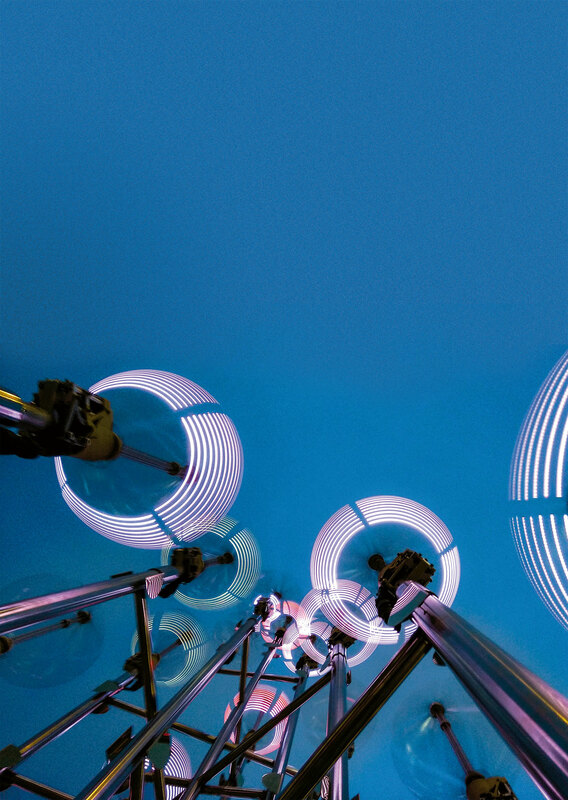 And Ultra Combos director Jay ­Tseng notes that when photos and videos of people visiting inter­active multimedia installations are recut into short films, they serve as secondary marketing tools for the com­panies commissioning the projects. On the government side, the Ministry of Culture and the Ministry of Science and Technology (MOST) have been working together in recent years, one result of which is that museum groups have received as much as NT$500‡600 million per year from MOST’s technology budgets. Government departments have been piecing together the drivers of business trends, and actively using public resources to build an outstanding developmental en­viron­ment. For example, the Taiwan Digital Asset Library is a government-supported shared platform for high-­resolution 3D models. Its “3D Scanning Program for Desig­nated Historic Structures” builds models of nationally designated cultural assets and saves them to a cloud-based platform both to reduce the risk of them being lost to a natural or human disaster, and to serve as a resource for the content industry. When culture meets technology, the two can become indistinguishable: entertainment becomes educational and technology translates art, making it more accessible and growing its potential as a marketing tool. Tech­nology’s ubiquity can even level class differences, helping bring about a kind of cultural equal rights. All of these innovations taking place at the same time suggest that an immensely attractive oasis, like that depicted in the film Ready Player One, may be beginning to take shape.